Announcing the CWS Poster Contest! Show off your water knowledge to over 300 leading water industry experts at the Canadian Water Summit 2018 in Vancouver, B.C., June 20–22nd. The competition is open to any student from an accredited Canadian institution who is also a registered attendee of the Canadian Water Summit. High res photo of the team/presenter to be used in the CWS program and distributed to Summit attendees. Submissions can be sent to admin@watercanada.net with the title Submission: CWS Poster Constest. A winner in each category will receive an award on stage at the Summit, will be mentioned during the Water’s Next Awards Gala, and will be profiled in Water Canada magazine. Participants shall plot the poster on a 46” x 32” sheet of paper or mount the sections of the poster on colour matboard. Only 40 posters will be accepted on a first-come-first-serve basis. Must be a registered CWS participant. 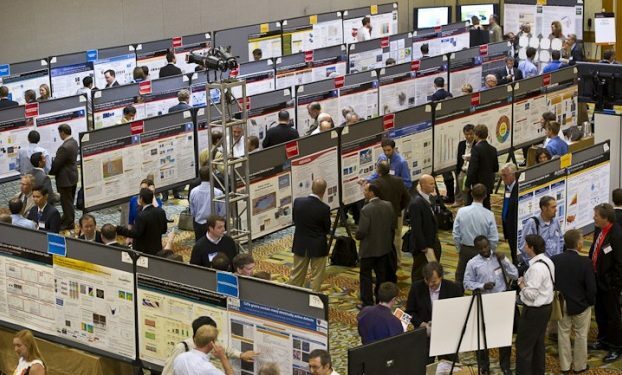 Poster presenters will be asked to be present beside their poster during Summit networking breaks. May be submitted by a team or individual attending the Summit. Questions can be directed to admin@watercanada.net RE:Poster Contest.